The latest news about the e-cigarette has unfortunately been largely negative: e-cigarette poisonings are on the rise as kids get their hands on bottles of e-juice. It seems like long ago, but my 20-something-year-old daughters were once of the age when everything went into their mouths. When she was two, my daughter Emma (who later quit smoking using the e-cigarette and was the inspiration behind my founding Vaping Vamps) swallowed almost a whole bottle of children's Tylenol. She crawled up on the counter and was able to get the child-proof cap off of the bottle. Before I knew it, she had downed the entire bottle. Fortunately, I was prepared and after calling poison control to confirm what I should do, I gave her syrup of Ipecac so she could eject what was in her stomach, and ultimately brought her into an urgent care center. She was fine, but it was a scare I'll never forget. 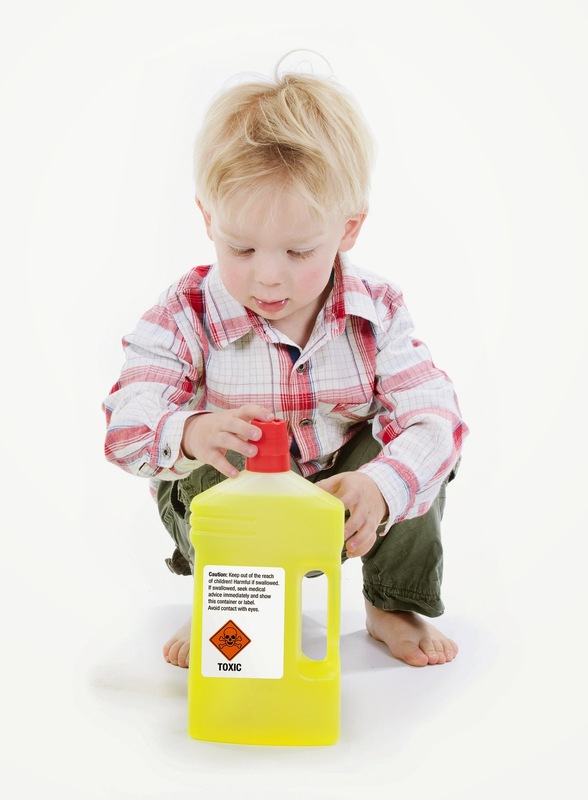 Kids are exposed to all sorts of hazardous things in our homes. Some of them look more attractive to them than others. I won't argue that a bottle of e-juice looks more attractive than a bottle of bleach. But as responsible adults, we need to make sure than anything that's hazardous is kept far, far out of the hands of our kids, and especially young children who love to put everything in their mouths. But does this give us reason to vilify e-cigarettes? Hardly! It should just remind anyone who has young children in the house to treat bottles of e-juice like you would anything that could be poisonous if ingested. Nicotine is NOT a Carcinogen! News reports about e-cigarette poisonings are a great reminder that we must be careful not to let our e-cigarettes or e-juice bottles fall into our kids' hands. But these reports really lose me when they blow this way out of proportion. In 2012, America's 55 poison centers received over 3 million calls; the calls ranged from fear of exposure to carbon monoxide to food poisoning to kids who swallowed the wrong stuff. But let's put these e-cigarette poisonings into perspective: the CDC reports that there were 215 calls to poison centers about possible e-cigarette poisonings in Feb. 2014. Slightly over half were about children who had been exposed, but 42 percent involved people who were over age 20. Multiply that by 12, and you get 5,580 calls a year -- out of 3 million calls. I just did the math, and that's only .00186 -- a very, very small fraction of the total calls to poison control. Call me crazy, but I would bet there were way more calls about kids who swallowed medicines than those who injested e-liquids. You know what really flummoxes me? Two things: 1) The fact that some don't seem to realize that e-cigarettes do NOT usually include more nicotine than traditional cigarettes. In fact, about 20 percent of our sales are of e-cigarettes with NO nicotine. And 2) Nicotine is NOT a carcinogen. Yes, it's addictive, which is why Big Tobacco has been increasing the level of nicotine in cigarettes by about 1.6 percent every year according to a study by the Harvard School of Public Health. In fact, they even put additives in cigarettes to increase the absorption of nicotine. But one of the great things about e-cigarettes is that you can order cartomizers with various levels of nicotine -- from zero nicotine to low, medium and high -- or 18 mg. -- or about the same as in a traditional cigarette. That's the highest level of nicotine we sell at Vaping Vamps. And we also sell the industry's only "Tri-Level" kit which offers three levels of nicotine so you can slowly reduce your nicotine consumption. Let's keep our focus on the big picture here: the bad guy here is traditional cigarettes, which claims the lives of about a half million people a year. And then look at the overwhelming benefits of e-cigarettes rather than the .002 percent of mishaps. I Loved Lucy. But Lucy Loved to Smoke.